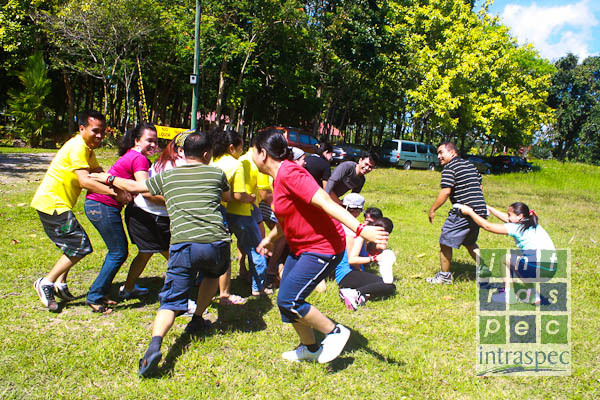 INTRASPEC Management Consultancy are known for its Teambuilding Programs. 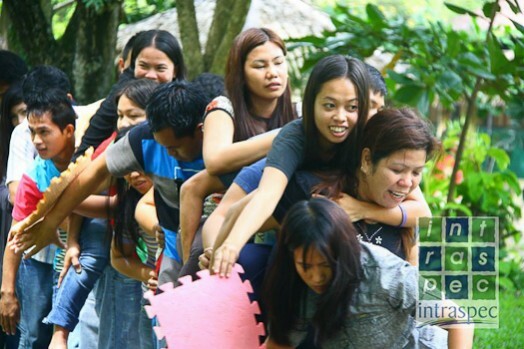 Every year quite a number of Teambuilding Programs to various companies. INTRASPEC also attends to various inquiries from its client companies on issues involving people or team effectiveness. Members make the team. Teams need strong team players to perform well. But what defines such people? I have outlined below Outstanding Qualities of an Effective Team Player. Every Team needs reliable team members. A reliable team members are those who gets work done and does his fair share work hard and meet commitments; follows through on assignments. You can count on “reliable people” to deliver good performance all the time, not just some of the time. Effective communication is the fuel that keeps the team moving. Teams need people who speak up and utter their views and ideas clearly, directly, honestly, and with respect for others and for the work of the team. Effective communicators also listens effectively. Good listeners are all important for teams to run effectively. Teams call for team players who can engage, understand, and consider ideas and points of persuasion from other people without debating and arguing every point. Such a team member also can receive criticism without reacting defensively. Good team players share. They’re willing to share data, knowledge, and experience. They take the initiative to keep other team members informed. A lot of the communication within teams takes place informally. Beyond discussion at organized meetings, team members need to feel comfortable speaking with one another and passing along important word and information daily. Good team players are participating in this informal sharing. They keep other team members in the loop with information and expertise that helps get the job done and prevents surprises. Simple things become hard to perform at times without cooperation. Cooperation is the human activity of playing with others and working together to execute a task. Effective team players work this way by second nature. Good team players, despite differences they may have with other team members concerning style and perspective, figure out ways to work together to solve problems and get work done. They answer to requests for assistance and utilize up the initiative to offer help. Flexibility! Teams often deal with changing conditions — and often create changes themselves. Good team players roll with the licks; they adapt to ever-switching spots. Flexible, team members can debate different points of views and compromise when needed. He or she doesn’t hold rigidly to a point of view and debate it to end, especially when the team needs to go forward to reach a decision or get something done. Strong team players are firm in their thoughts yet open to what others have to offer — flexibility at its best. Strong team players like about their oeuvre, the team, and the team’s work. They show up every day with this forethought and commitment up front. They desire to make a good effort, and they want other team members to manage the same. Teams, of course, deal with problems. Sometimes, it seems, that’s the whole reason why a team is created — to address problems. Good team players are willing to share with all sorts of troubles in a solutions-oriented way. They’re problem-solvers, not problem-dwellers, problem-blamers, or problem-avoiders. They don’t just rehash a problem the way problem-dwellers do. They don’t look for others to blame, as the blamers do. And they don’t put off dealing with issues, the way avoiders do. Team players get problems out in the open for treatment and then collaborate with others to discover resolutions and make action plans. Team players treat fellow team members with good manners and consideration — not just some of the time but consistently. In addition, they show understanding and the appropriate support of other team members to help get the job done. They don’t set conditions on when they’ll furnish assistance, when they’ll choose to listen, and when they’ll share data. Good team players also have a sense of humor and know how to have fun (and all teams can employ a bit of both), but they don’t have fun at somebody else’s expense. Rather simply, effective team players deal with other people in a professional way. Team participants who show commitment don’t come in whatever particular flair or personality. They don’t ask to be cheerleader types. In fact, they may even be soft-spoken, but they aren’t passive. They care about what the team is performing and they contribute to its success — without requiring a push. Team players with commitment look beyond their own piece of the work and worry about the team’s overall work. In the goal, their dedication is about winning — not in the sports sense of getting your opponent but about catching it. effective team leader is the ability to influence others to cooperate in order to complete their common goals or even exceed it. A team member must have certain qualities so that it will not only be able to work in a team but also deliver results and grow both professionally and personally. Everybody must have the zeal to work hard to achieve the team’s goal. In everyteam good communication is vital.When you are playing enjoy and give your best but dont expect too much because this expectation will turn you down if the outcome is not possitive.Play clean and safe to your team. Teams need people who speak and express their thoughts and ideas clearly , directly, honestly, and with respect for the others and for the work of the team. That’s what it means to communicate constructively. Such a team member does not shy away from making a point but makes it in the best way possible- in a positive, confident, and respectful manner. Being a team player, it is imperative to keep the communication going to build relationships and assess programs. It is often challenging but frequently rewarding especially if its working well and enjoying the team works. Team players should be flexible becasue being a member of team/group involves interaction with people having different behaviors and personality. Team player should be interactive and willingly works in cooperation with other teammates/groupmates. They should also be openminded to suggestions and new knowledge that might help in achieving the goal of the team/group. In order to succeed each member should cooperate and understand the strengths and weaknesses of the team. By this means, we can help one another and continue exceeding with our goals. a person who plays on a team should put aside his personal goals and work well with others while striving for a common goal. Yes, these may be the qualities of a good team player, but not everyone in the team will have these qualities. It will still be the task of the leader to secure that all his team members are ready and equipped on the task at hand. We are born with distinct ideas and exceptional talents. We are different but through teamwork this leads to achieving goals that group has. Team work is really important in every organization, and having effective team players possessing these outstanding qualities is the key. It will make everything smooth sailing at work. Like what Helen Keller said “Alone we can do so little, Together we can do so much”. Great leaders started as good followers. If leaders perfected the qualities you’ve mentioned above, we probably would be overflowed by great leaders. I think its important that leaders realize how important it is to be an effective team player first. A team is as strong as its weakest link, each member may be given specific assignments to maximize their skill set and potential (job placement) to make sure goals are met effectively and efficiently. Just one question… What do you do or how would you deal with people who are very negative on this team building thing. They would just go there for the of compliance but would not participate on any activity. Most people will join certain team or prefer to be in a team especially if each member shared mutual understanding with each other. Indeed,teamwork plays vital role in achieving desired goal and it reveals the secret of the success of once company. Qualities of being effective leader sometimes it changes, may be for now these has been the qualities that people like to their leaders, but in the future might also changed because people also change and everything is still changing especially the advent of the technology is very fast nowadays and that technology has the capacity to change people’s character/behavior, thus, the likelihood is that “The Qualities of an Effective Leader” may vary. For a team to succeed, each members should work hard in unity. 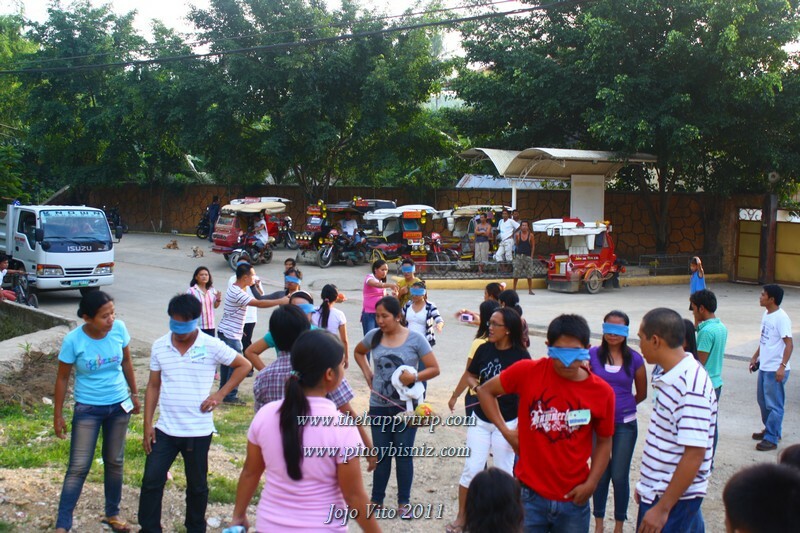 Nice post, I missed attending team building. Team buildings is a good way to know who can step up in a group. Effective team members are those flexible to the situation and are always aware of the goals. I love teambuilding activities because you get to see who has the capacity to be the leader, as well as who works well with who. Having professionals like Intraspec facilitate these activities would be better since you know more about the activities fit for different people. Believe it or not, I haven’t attended any team building events or activities. It looks like so much fun and at the same time, it teaches you the value of teamwork and becoming an effective team member.